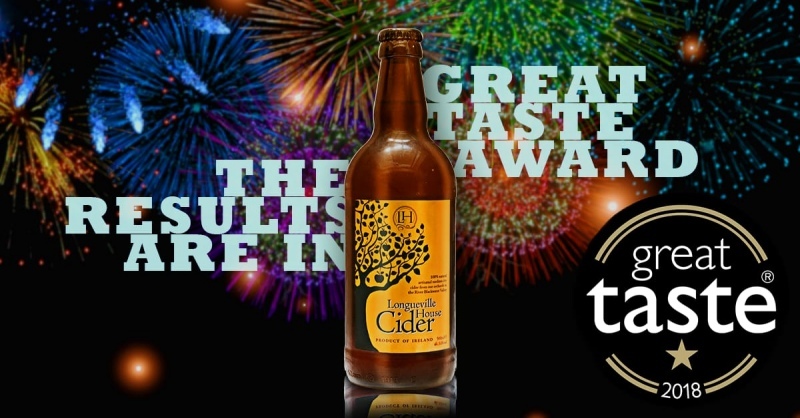 Longueville House Cider's range has earned a reputation of quality - rapidly becoming a major hit in many restaurants and licensed premises throughout Ireland, U.K. Europe and The U.S.A. (O'Callaghan's Irish Cider available in the U.S). Our crop of Dabinett and Michelin apples are harvested in late October, once picked the apples are crushed and pressed in the Cider Mill on the estate. The pressed juice is naturally fermented, taking place as a result of the action of the wild yeasts, which are particular to the orchards and environs of Longueville. Fermentation takes between 2 and 6 months resulting in a rich, amber colored cider, full of character, flavour and taste. There are no added coloring's, additives, sulphites or preservatives used at any stage during the production and manufacturing process of the cider's. The entire process from growing the apples to the fermentation of the cider is done on the farm. 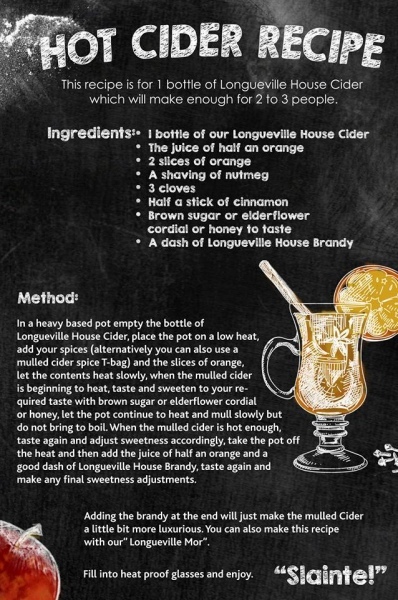 The cider is then bottled in 500ml glass and sold as Longueville House Cider (ABV 5%). A medium-dry cider with a fresh apple flavour, Longueville House Cider is a gorgeously refreshing, clean, crisp cider - and as far from commercially produced ‘cider’ as can be imagined (its how traditional cider used to be before it got all artificial and fake)..
Our New cider, Longueville Mór (ABV 8%), Mór is the Gaelic/Irish word for Big and is the new baby of the family but is punching above its weight, our Longueville House Cider is aged for 6 months in our Apple Brandy casks which results in significantly Mór taste, Mór depth, Mór well rounded, Mór balanced, Mór character, Mór flavour and significantly Mór enjoyment a truly Mór delicious and Mórunique cider. Longueville Mór is a very drinkable and quiet deceiving cider as it doesn't taste like an 8% cider however it will remind you about half way through the bottle that it is actually an 8% cider. 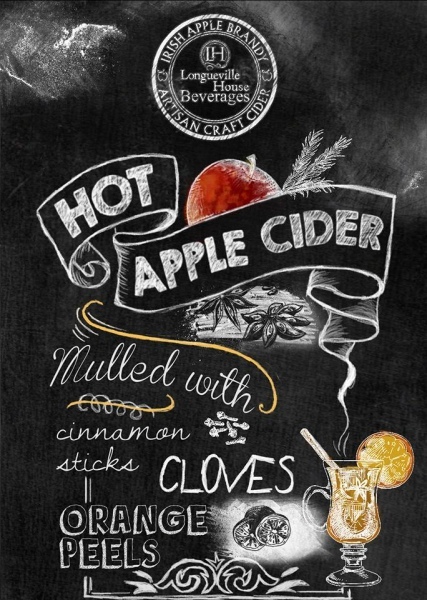 "We like our cider hot when it's cold outside & cold when it's hot outside"